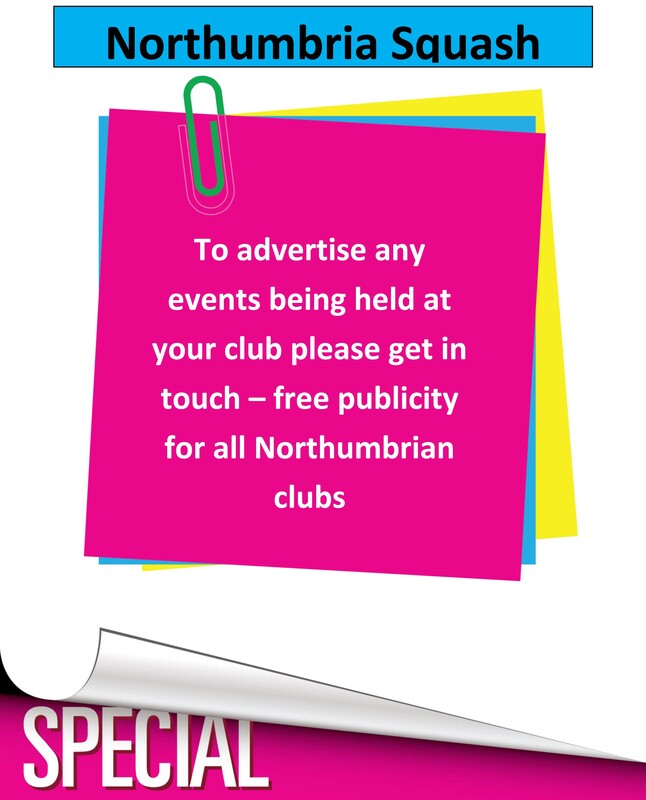 Northumbria Squash aims to promote the playing of Squash at all levels throughout the county. Support is given to Ladies, Men’s and Junior county teams during the season and is currently being rewarded with success for teams at all levels and age groups, led by the Men’s Over 55 team who became national champions for the first time in 2017. Selection for these teams is made by the relevant county captain so if you are interested in trying for a team place, contact any committee member for further details. The County provides opportunities for the coaching and training of Juniors to enable them to progress within the game. The Northumbria Squash team leagues and related cup competitions are promoted through the use of League Master software which manages the fixtures and results for every team. Currently, there are 13 Ladies’ teams and 70 Men’s teams vying for titles, promotion opportunities and cup success. The County also supports several individual competitions during the season with organisation and funding. The level of success of these competitions is as always dependent upon the number of entries. 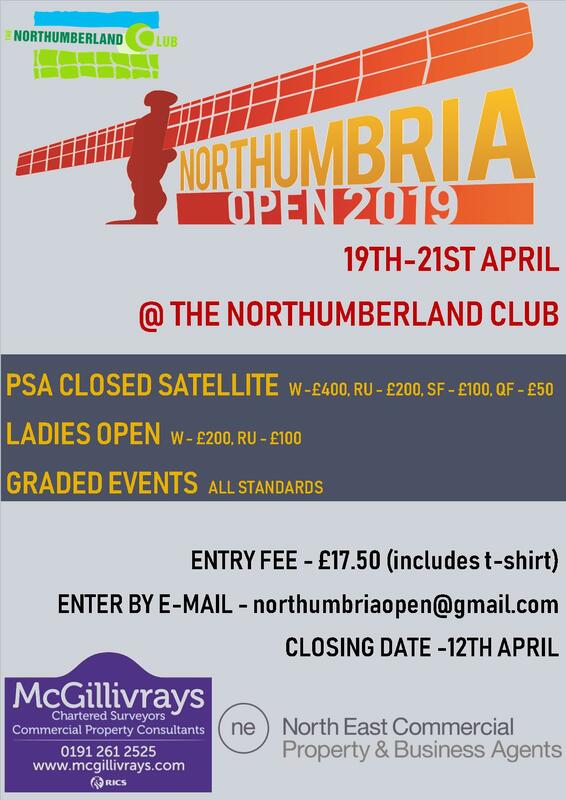 This is your chance to be part of Northumbria Squash so don’t be afraid to enter as there is a graded entry available for most events. The Northumbria County Closed in January is always a particularly successful tournament. The committee is always on the lookout for sponsors for any of these events.